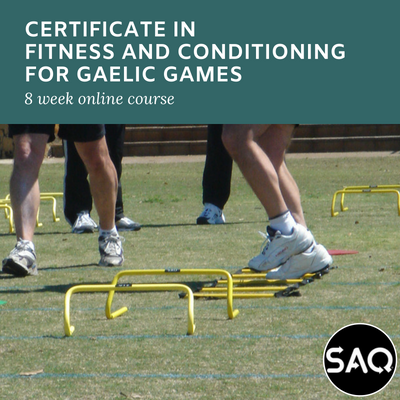 This certificate covers the definition of and practical approach to Fitness and Conditioning, the Components of Fitness and the Principles of Training and how they apply to Gaelic Games coaching. This certificate covers the rationale behind fitness testing. It demonstrates a wide range of capacity tests. It teaches the gaelic games coach how to evaluate and administer the most suitable tests for the facilities available. This certificate covers all the content that the gaelic games coach will need to advise his/her players how to prepare for and recover from training and games in terms of their nutritional and hydration needs. This certificate examines the whole area of Resistance and Strength Training. It delves into the improvement they can add to the gaelic player’s fitness and play. It also uncovers how they can make players more reactive, quicker and faster moving on the field. 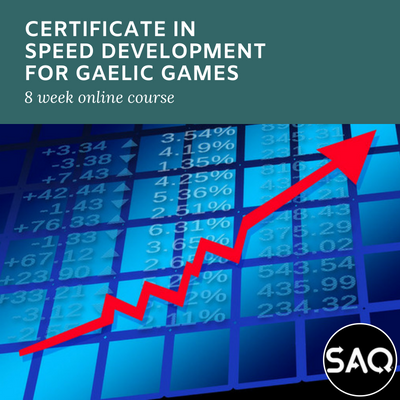 This certificate covers the importance of speed and agility in Gaelic Games. It looks at the various methods that can be used to make players quicker off the mark and faster on the ball. This certificate examines Stamina Training for Gaelic Games and the importance of a multi-sprint stamina and strength endurance approach to the whole concept of endurance development for Gaelic Games.